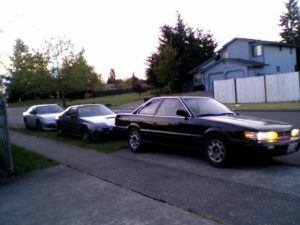 My old RWD cars minus my 90 Cressida. While I help run F31club, anyone that knows me, knows that when it comes to cars, I am actually inclusive. I love all aspects of the Import Car scene. While I never made it to the level of a race car or a show car, I have always enjoyed taking pictures, visiting shops and talking people. Many of these meets came about from forums. 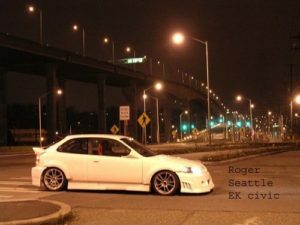 I went to rx7club.com monthly meet, Honda-tech, NorthwestNissans, Nissan Pacific… any meet I found interesting and when friends invited me. Forums were the social media back then and it was pretty cool to get people together at these meets. When I started going to Japan, it was out of my own pocket. I was not military. There was no translation software on cell phones. So everything had to be direct language. Wandering Leopard – The Saga continues! RADwood – Oyster Point, San Francisco 6/24/18 – and I showed my M30!!! Wandering Leopard Pilgrimage 2017 – 9 days criss crossing Japan:Yamaguchi, Takamatsu, Hiroshima, Okayama, Osaka, Shiga, Gifu, Nagoya, Sendai, Tokyo, Yokohama and Hakone. Blox Evolution – San Francisco – 2016 – Meeting with Van Kulture!! These pictures from 2006 were from my birthday trip to Yokohama. I spent time with my friends. I was suppose to comeback in 2007 and we were suppose to meet Simasima and go to the Leopard meeting. These pictures from 2004 were from my Osaka trip with Nobuo. He took me around to various shops and I met with the owners. This is where I learned “Japanese tuning shop” etiquette. My old computer crashed and a long with it were many of my 01-03 photos. But They were all in Yokohama and Tokyo. MB meet and BBQ – 2007? Nisei week – Little Tokyo – Los Angeles – 2001 – Probably one of the coolest shows I’ve attended. My 2000 civic hatchback in 2003 before attempted theft/damage. To enlarge, click on image, when single thumbnail, click again. All pictures from the early 2000s were from my SLR with film. Rolls of film (I got 24 shots per roll) and getting them produced were not cheap. So I had to make sure my shots were good. Unlike today’s digital imaging, you can easily take 100s of photos and the cell phone does good enough in both dark and motion. Free webpages and slow internet at those times had limitations to space. So images were always reduced. The early 2000s was a different era to tuning. The mindset, the creativity, custom modifications (both done professionally and DIY), there were tons of companies offering parts… It was simply a different time. The style of cars can be different. Communication was difficult back then. I met many people from Japan, Hong Kong and Taiwan through their homepages (everyone made free homepages). There wasn’t translation software or Facebook to connect. It was direct language and emails. I had tons of photos from the 2001-2003 era that I lost pictures when my computer fried. Many of them from Japan.